I wake and know immediately where I am—a sure sign that we’ve been firmly planted for some time. Although our surroundings are not new, today’s agenda is: it’s Trent’s birthday. This man is at the quintessential tippy-top of my favorite people list. While previous plans had us celebrating his birthday with family in Minnesota, it’s here and we’re not there—time to get creative. In Minnesota, Trent would wish for a breakfast of Bismarck donuts, fresh from the local store. Here we will improvise. I’ve been trying out a new bread recipe from The New Artisan Bread in Five Minutes a Day book. It allows me to make dough in large batches and store it up to two weeks in the fridge. Whenever I’m ready for homemade awesomeness, I simply pull off a hunk, let it rise on the counter, then bake till golden. It’s heavenly. This morning we need a taste of heaven. I use the dough to make gooey caramel rolls and our day begins with sugar-laced gluten and a happy birthday song. The middle of our day is filled with a waterfall hike and eating samples at Costco. 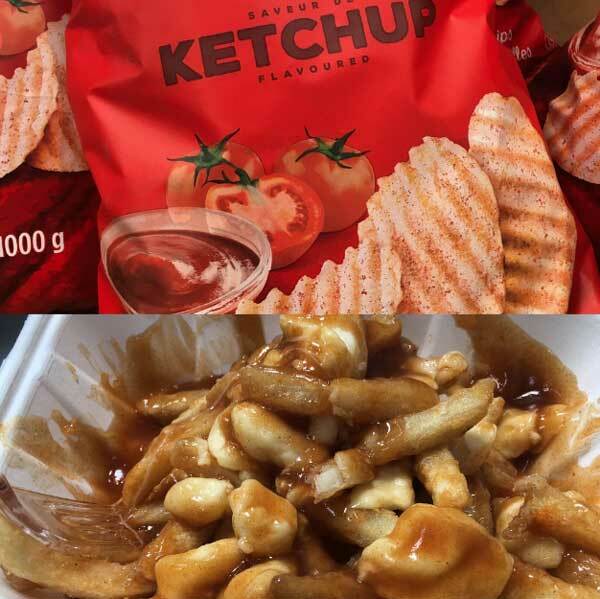 Like a tourist, I take photos of the ketchup-flavored potato chips in the snack aisle and poutine (fries with gravy and cheese curds) available at the food court.